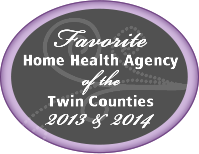 Southwest VA Home Health Care, Inc. employs Registered Nurses and Licensed Practical Nurses. Among our professional staff are nurses certified in Gerontology & Chemotherapy Administration, Certified Wound Care Specialists and much more! Our nurses assist the physician in developing an individualized plan of care that meets the patient’s specific needs. Our nurses provide assessment, observation, management and monitoring of disease processes. Certified Wound Care Specialists are available with advanced wound care techniques. Our nurses are certified with Level 1 Training in Vacuum Assisted Closure Techniques from Kinetic Concepts International. Physicians may order a “Wound Healing Dietary Analysis” by our Registered Dietician to assist in the wound healing process.